The city’s website includes the #PrayforOrlando hashtag and says officials are “working tirelessly” to get information to families. 2:55 p.m.: People who were inside the gay Florida nightclub where 50 people were killed are describing a scene of mass chaos. 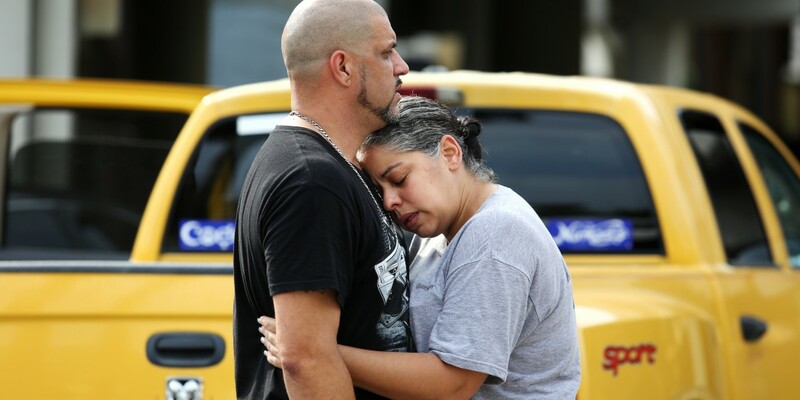 2:45 p.m.: The suspected Orlando nightclub gunman had been licensed as a private security officer in Florida. 2:35 p.m.: Attorney General Loretta Lynch is cutting short a visit to Beijing for cybersecurity meetings with Chinese officials and returning to the United States to monitor developments in the nightclub shooting investigation. 2:35 p.m.: Prime Minister Benjamin Netanyahu says Israel stands “shoulder to shoulder” with the United States after the shooting at a gay nightclub in Orlando that killed 50 people and wounded dozens more. 2:25 p.m.: Police departments across the country are increasing patrols near locations frequented by the LGBT community after a gunman killed 50 people at a gay nightclub in Orlando. 2:20 p.m.: President Barack Obama says the worst mass shooting in U.S. history is a further reminder of how easy it is for someone to get a weapon that allows them to shoot people in a school, in a house of worship, a movie theater or a gay nightclub. 2:15 p.m.: President Barack Obama has ordered flags to be flown at half-staff at the White House and federal buildings until sunset Thursday “as a mark of respect for victims of the act of hatred and terror” at a gay Florida nightclub. 2:15 p.m.: Donald Trump isn’t pausing his political commentary for the biggest mass shooting in U.S. history unfolding in Florida. 2 p.m.: A bartender who was working at the Orlando nightclub when a gunman opened fire and killed 50 people and wounded about 50 others says at first she thought the gunshots were music. Johnson says people dropped to the ground and started running out of the Pulse night club early Sunday morning. She ran to a fast-food restaurant across the street and met one of her customers who let her get in his car and they drove away. 2 p.m.: Sunday evening’s Tony Awards have been dedicated to those affected by the Orlando nightclub shooting that killed at least 50 people. 1:40 p.m.: The Vatican says Pope Francis is expressing the “deepest feelings of horror and condemnation” over a massacre at a gay Florida nightclub that killed at least 50 people. 1:35 p.m.: A law enforcement official says the shooter in the massacre at a gay Florida nightclub was known to the FBI before the incident and had been looked at by agents within the last few years. 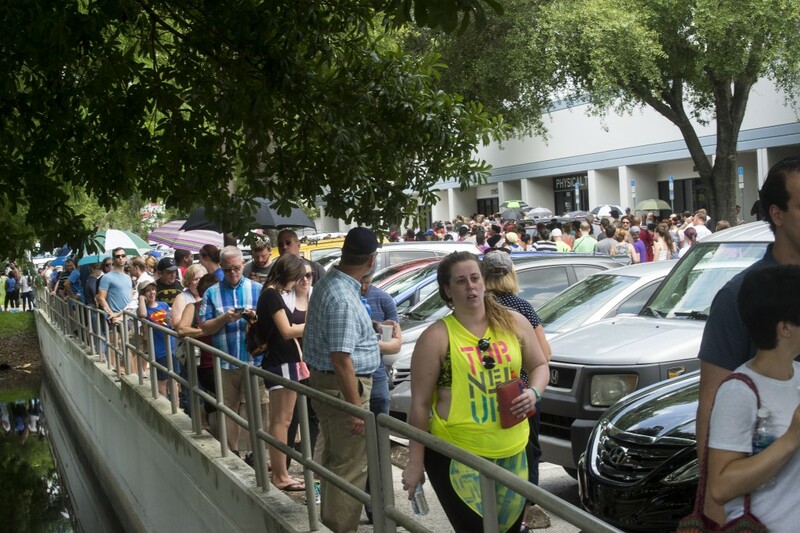 1:20 p.m.: Hundreds of people in Orlando have lined up to give blood to help the victims of the massacre at a gay nightclub. 12:45 p.m.: The ranking Democrat on the House Intelligence Committee says law enforcement officials and the intelligence community are checking to see what information they had on the shooter prior to the massacre at a gay Florida nightclub. 12:30 p.m.: Florida Gov. Rick Scott is calling the shooting at a gay Orlando nightclub “heartwrenching” and says first responders who went into the building knowing there was an active shooter are heroic. 12:25 p.m.: Law enforcement officials are beefing up security for a LGBT pride festival in Washington, D.C., after a deadly shooting at a gay club in Orlando. Noon: A SWAT truck and a bomb disposal unit are on the scene of an address associated with the man named as the shooter in a massacre at a gay nightclub in Orlando. 11:45 a.m.: The father of the man named as the shooter in a massacre at a gay Florida nightclub says he’s in shock and that he wasn’t aware of anything his son might have been planning. 11:45 a.m.: Many are still awaiting word on whether their loved ones are among the 50 killed and 53 hospitalized in a mass shooting at a gay nightclub in Orlando. 11:20 a.m.: Families and friends are awaiting word outside an Orlando hospital to learn whether their loved ones are among 50 killed and 53 more hospitalized at a shooting at a gay nightclub. 11 a.m.: Police say the shooter at an Orlando nightclub used an AR-15-type assault rifle on all the victims. 10:50 a.m.: The massacre at an Orlando nightclub that claimed 50 lives is the worst mass shooting in U.S. history. 10:30 a.m.: The mayor of Orlando says there were 50 casualties and there are 53 more hospitalized after a mass shooting at a popular gay nightclub there. 10:20 a.m.: The suspect in the mass shooting at night club in Florida has been identified as Omar Mateen of Port St. Lucie, Florida. 10:15 a.m.: Florida’s governor is headed to Orlando after a shooting at a gay nightclub there left about 20 dead and 42 wounded. 9:45 a.m.: President Barack Obama has been briefed by his homeland security and counterterrorism adviser about the shooting at a gay nightclub in Orlando that left about 20 people dead and 42 wounded. 7:25 a.m.: Police say approximately 20 people have been killed inside a Florida nightclub, and at least 42 were wounded. 7:15 a.m.: Police say multiple people have been killed inside a Florida nightclub, and at least 42 wounded people have been taken to hospitals. 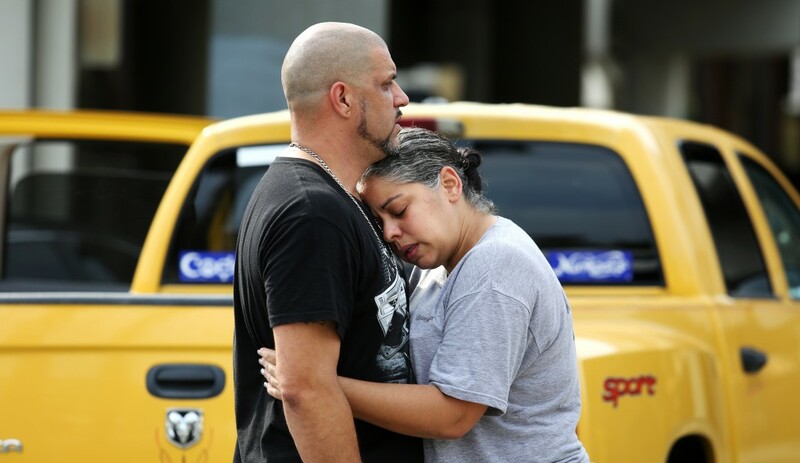 5:55 a.m.: Police say the person who opened fire inside a popular Florida nightclub is dead. 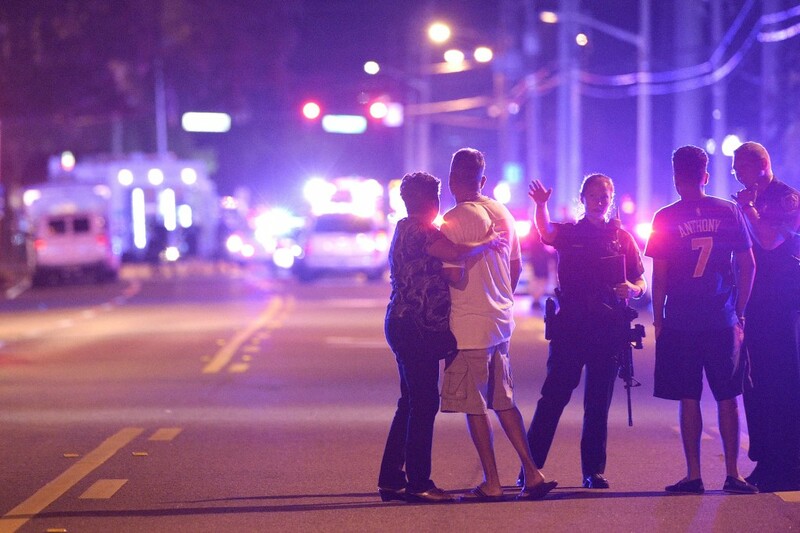 4:50 a.m.: Orlando Police say they are responding to a shooting at a nightclub in Florida.